One of the UK’s leading online clinics has launched two new health categories to its range and will now provide medication for both asthma and diabetes. 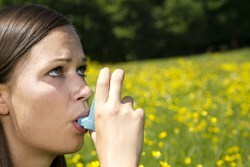 Ventolin inhalers are now available safely through a prescription at OnlineClinic.net. It has now been a decade since OnlineClinic launched with the aim of providing patients with a safe and secure way to buy genuine prescription medication online. Over this ten year period, the number of health and lifestyle conditions treatable with medications available on OnlineClinic has increased steadily. Currently, almost 20 conditions are featured at OnlineClinic, along with comprehensive, relevant information and advice relating to symptoms, causes and treatments to existing patients and visitors. Asthma is an extremely common form of respiratory disorder that is particularly common in children, though it can continue into and develop in adulthood. It usually produces characteristic symptoms such as coughing, wheezing and general breathlessness. Asthma attacks are often a frequent occurrence for asthma sufferers and be distressing, sometimes requiring urgent medical treatment. These attacks can be reduced or alleviated with prescription medication which is administered in the form of either a reliever or a preventer inhaler. Reliever inhalers contain salbutamol and are sold under the brand name Ventolin. 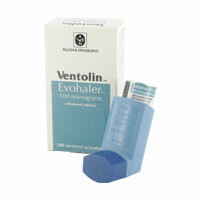 Ventolin inhalers are now available at OnlineClinic.net. Diabetes is a common condition that affects over 2 million people in the UK alone. It occurs most commonly as either Type 1 or Type 2 diabetes and affects blood sugar levels. If an individual has been diagnosed with diabetes, they should discuss their treatment options with a specialist to determine the most appropriate course of treatment. 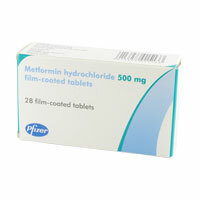 Metformin is a popular Type 2 diabetes treatment that is available to order at OnlineClinic to those for whom it has been recommended as a suitable treatment. OnlineClinic.net is an online pharmacy who specialise in treating a number of common health problems such as impotence, erectile dysfunction, obesity, hair loss and many others. Originally launched in the UK, the brand has now expanded to reach the European market. Patients can order their treatments online at OnlineClinic.net, without having to worry about doctor’s appointments or busy waiting rooms. With a dedicated team of medical professionals on hand, patients can complete a free medical consultation online with a registered doctor and receive their treatment the very next day via secure courier. For more details, visit the website onlineclinic.net or contact OnlineClinic on 020 7084 7593 or via email. OnlineClinic is a brand name of Hexpress Healthcare Limited, 138-140 Mitcham Road, London, SW17 9NH Phone: 020 7084 7060.